This year marked a period of great change on the Korean Peninsula. North Korea's economy and society displayed signs of renewed vitality. With coal exports decreasing, domestic electric power generation enhanced the reliability of the electric grid, reducing blackouts. Living standards improved indirectly as U.N. trade sanctions facilitated access to products usually marked for export in the past, such as seafood. The changes in North Korea are perhaps most apparent in Pyongyang fashions. 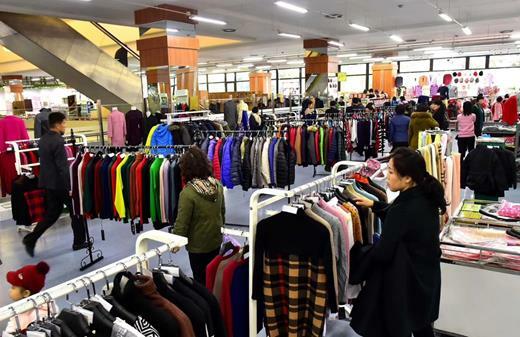 Down jackets, feather dresses, and knitwear are popular products in Pyongyang's department store this winter. One might even have trouble distinguishing Chinese from North Korean women, if not for the distinctive badges complementing their apparel. North Korean men, on the other hand, favor grey, blue and dark yellow this winter. 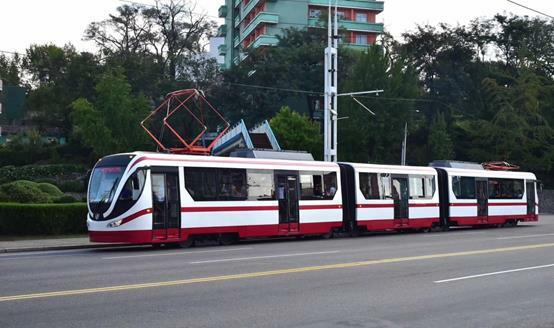 Public transport in Pyongyang is multiple. One can get around by bus, trolley or subway. The number of routs increased this year, and most major recreational facilities and landmarks are near to stations. People stand neatly in line while waiting for the bus, which can be packed like a can of sardines when getting on the bus because there are too many passengers especially during the rush hour. There are more than 2,000 taxies in Pyongyang, but they are available only to DPRK residents, not foreigners. In fact, North Korean taxi drivers will not pick up unaccompanied foreigners. Taxi fees are usually calculated in US dollars. Short rides cost about$2 or $3 and longer rides up to $4 or $5. Most taxi drivers are honest. They will return lost money or goods even late at night. They typically refuse tips, preferring a thankful letter. This kind of gratitude indicates credibility and integrity and is more respectable. Car breakdowns happen frequently, because many are quite old and rundown. One can discern the different uses for cars based on the background color of the license plate. For example, black plates titled with 727 mean cars used by army officials and tend to be of Chinese origin, with car brands like BYD or Haval. Occasionally one may catch a glimpse of luxury cars, such as a Mercedes-Benz, but even these are very old models that have all but disappeared in other countries. Much like a typical modern city, Pyongyang streets now glitter with images projected from LED screens. Although slogans relating to the "Juche Idea" remain pervasive, a new trend in using blue instead of red in the background demonstrates Pyongyang's efforts to integrate into the global community. This was especially apparent during the summit talks between President Moon and Supreme Leader Kim Jong-un in Pyongyang earlier this year. Meanwhile, a diverse array of advertisements has cropped up in shops and on the streets, proclaiming the desirability of drinks, fashionable clothes, and other products. One would once have been be hard-pressed to observe advertisements apart from those for cars and Taedonggang beer. There have also been changes in daily living. Fruit stands are ubiquitous in Pyongyang, Kaesong, and other big cities. Fruits, eggs and other non-staple food are sold in local markets, known colloquially as "Jang madang", which state-sanctioned merchants operate by night. Supermarkets and department stores welcome dollars, RMB, and euros as foreign exchange reserves. Electrical appliances such as TVs and mobile phones are sold in big stores. People can even shop online via mobile phone, although this is quite uncommon. However, hardship continues to characterize the daily lives of North Koreans. The sanitary conditions in the markets still need improvement. 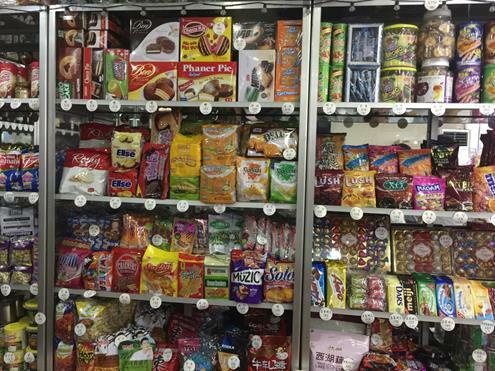 Imported food and other products for daily use are expensive and only available for the elite. The price of telecom data is especially high at the moment ― up to $15 per 50 megabytes ― and it is difficult for the average person to connect to the internet, with wifi hotspots forbidden. There is a striking versatility and respect for knowledge among North Korean workers. Most waiters working in a sizable restaurant, for example, have bachelor's degrees. This means a considerable availability of high-quality labor should North Korea open to foreign investment. Among top elite workers, conditions continue to be comparatively favorable. The government supplies professors at Kim Il-sung University with full-option apartments (not a policy extended to administration staff). For example, associate professors can attain a free 240 square-meter apartment on the busiest street in Pyongyang. Despite no experience studying abroad, many professors speak Chinese and English fluently. Even some foreign-language high school students speak fluent Chinese, albeit shyly. As a foreigner, it is very difficult to buy or procure academic materials. In fact, the selling of most publications to foreigners is prohibited, especially school textbooks. Even foreign students who have studied in the DPRK for many years are barred from accessing textbooks used by North Korean students. Exempted from this rule, however, are officially designated publications translated into English or Chinese, which introduce the Juche Idea, the DPRK's understanding of human rights, investment law, etc. Despite the apparent changes occurring in North Korean society, there is still a long way to go in terms of integration with the outside world. Light industry remains underdeveloped, for example, comparable perhaps to rural enterprises in China. This situation has only been exacerbated by U.N. trade sanctions due to North Korea's nuclear development. Nonetheless, the changes in North Korea suggest improvements on the horizon. 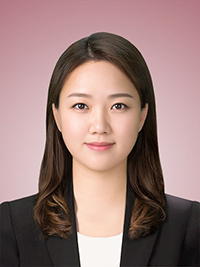 Dr. Wang Xingxing (Ph.D Seoul National University) is a research fellow of Global Security Cooperation Center (GSCC,) and a visiting senior research fellow of the Institute of Far Eastern Studies.